PEZODERM® Healing & Protective cream honored by the Hungarian Quality Product Award in 2015, gained the trophy of Hungarian Quality Product Award is a product composed and produced in a modern form with soft creamy texture and eye-catching packaging. A cream recommended for general and daily use, which is a must in every household. Thanks to its nourishing herbal active ingredients, its jojoba oil, avocado oil, sunflower oil and lavender oil content, and vitamins A, B5, D and E content, the cream softens the skin, promotes epithelization, and the regeneration of the epithelial cells. When used, the protective cream forms a breathable film, which prevents the moisture from contacting the skin, and the so generated layer forms a water-repellent protective layer on the skin. This water-repellent barrier protects the skin from the impact of excessive moisture, and of various bacteria and fungi. It is paraben-free, and contains panthenol and vitamins A, B5, D, and E. Recommended for the entire family because of our skin is a value in every age, it is important to protect and defend in everyday life. 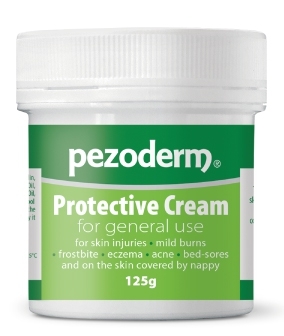 The PEZODERM® HEALING & PROTECTIVE CREAM can be applied over epithelial injuries such as bruises, mild burns and frostbite, mild sunburn, and over irritated and reddened skin. It nourishes eczematic skin and acne-prone skin (skin with pimples). It protects the skin covered by nappy. It has a skin-protective effect in the case of bedsores, disabled elderly people and patients suffering from incontinence. The PEZODERM® HEALING & PROTECTIVE CREAM is a cream recommended for general and daily use. Apply it over the affected skin in a thin layer evenly 3 to 5 times a day. Make sure it does not get into the eyes and on the mucous membrane. To be applied externally! Produced and distributed by Pezomed Ltd. The Pezoderm® Protective Cream is recommended for general and daily skin care. Use it on skin wounds, on irritated and reddened skin, bruises, mild burns and frostbite, and on eczema and acne-prone skin, and on the skin covered by nappy during the everyday skin care. The Pezoderm® Protective Cream is an indispensable member of the family. APPLICATION: Apply it over the affected skin in a thin layer evenly 3 to 5 times a day. For external use only. PEZODERM® Healing & Protective cream is recommended also for babies and young children. Thanks to its ingredients it can be used on the sensitive skin, as well. Its ingredients guarantee that it can be used on sensitive skin, as well. The waxy esters of the Jojoba oil, the product contains, are very similar to the fat esters produced by the human skin (which is part of our skin’s hydrolipidic protective film), therefore they strengthen the skin’s protective functions, and have anti- inflammatory and skin conditioning effects. The oil content of the avocado is an excellent care for dry, cracked, and eczematous skin and promotes cell renewal, so it is applied over sensitive skin which is prone to inflammation and it is used to heal scars, as well. Due to its sunflower oil content, it is an efficient emollient substance that may be effective in restoring and strengthening the irritated or dry skin's natural protective layer.Due to its vitamin and Bisabolol content, it is a perfect anti-inflammatory cream with skin soothing effect, which helps to maintain the skin’s protective layer. For external use only. The product should only be used by the best before date shown on the packaging. Keep out of the reach of children; reseal after opening. Be careful not to apply it over mucous membranes. Keep it in a place protected from radiating light and heat. The products can be purchased in DERMA-ART DERMATOLOGY CLINIC and at EVENTUS PHARMA WEBSTORE. Distributed by PEZOMED LTD. Hungary, 1063 Budapest, Szinyei Merse Pál street 21. 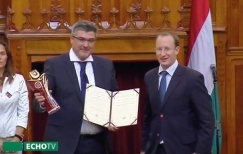 I/5. Company premises, letter address: Hungary, 4400 Nyíregyháza, Dózsa György street 60. Tel. : +36 (42) 423-864, Fax: +36 (42) 401-066. If you would like to know more about our products please contact us via email. Copyright © All Rights Reserved Pezomed Ltd.- www.pezomed.com - All rights reserved. Materials at the website are under copyright. They can be used only the written permission of Pezomed Ltd.. If you choose to use substances at www.pezomed.com website, please look for ZOLTAN NAGY MD owner, Managing Director. Thank you. This is a 9:40 long video, which reviews the Psoridoerm product line. The video is cut from a TV report. A 16 seconds long Psorioderm TV Spot 2011 - TV report about the products. In the video a review can be seen.